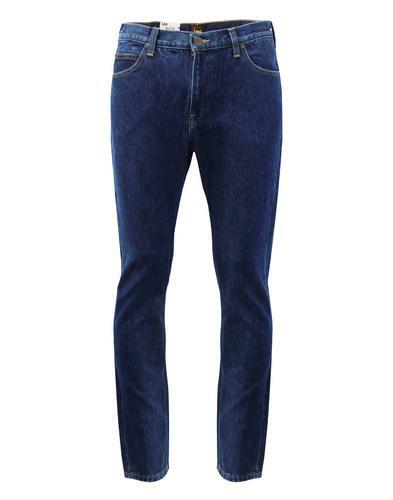 Wrangler 'Larston' Men's Retro slim tapered denim jeans in darkstone. 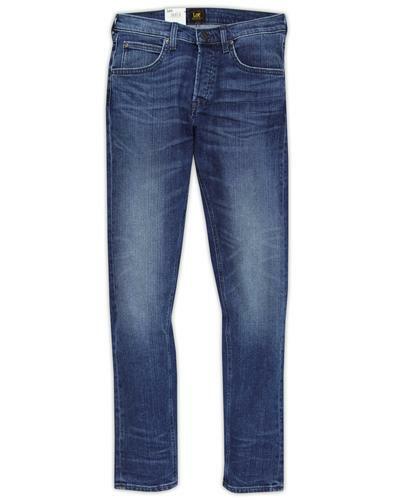 A Retro indigo stonewash incarnation of the iconic Wrangler 'Larston' Mod denim jean. Contrast stitch details, vintage look rivets to pockets and Wrangler back waistband tab finish the jeans off in style. The classic 5 pocket western jeans, 'Larston' are a Wrangler staple, benefitting from zip fly and slim tapered cut. Can be worn as turn ups for that late 1950s Americana look. 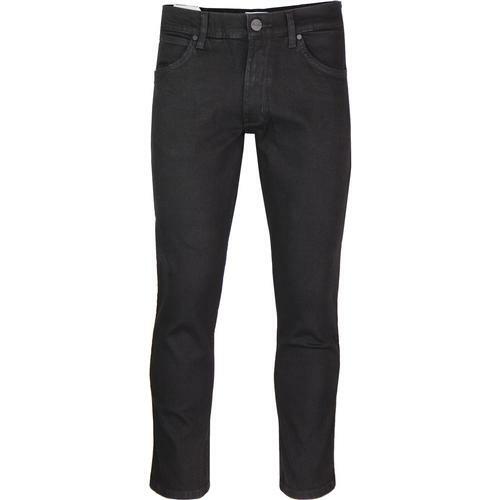 -Wrangler 'Larston' men's retro slim tapered denim jeans in darkstone. 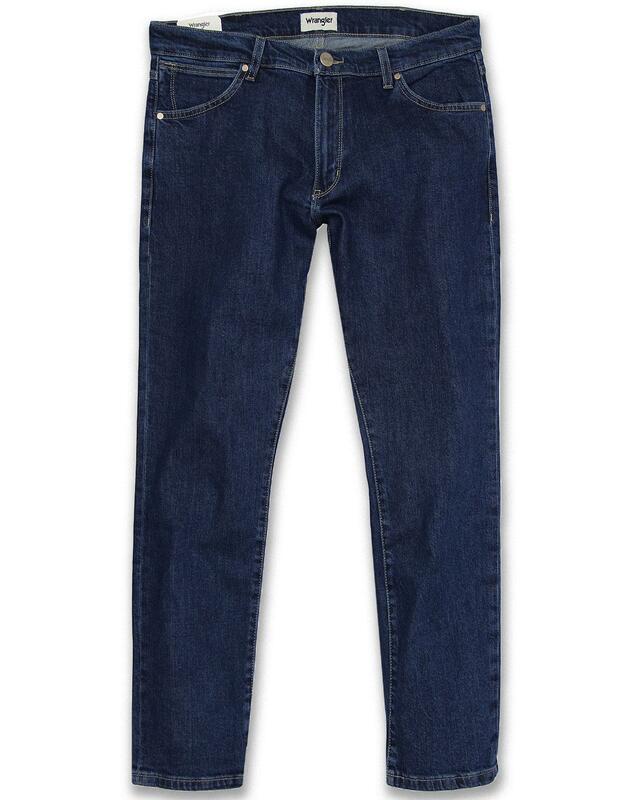 - Classic indigo blue stonewash denim. - Wrangler 'W' back pocket stitch. - Vintage leather Wrangler signature to back right pocket. 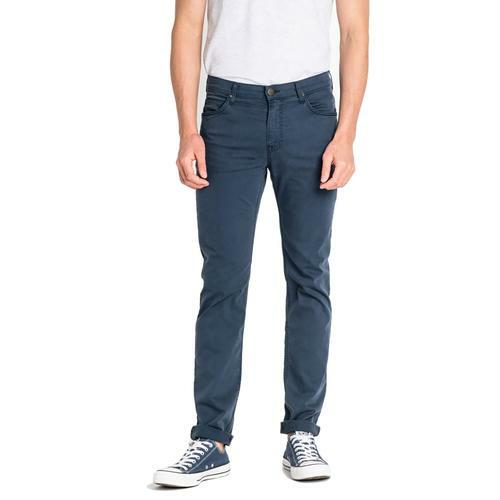 - SKU: W18S23090 Larston Jeans.